Our legislative mandate requires that the certification programs be fully funded by the fees collected for the program. 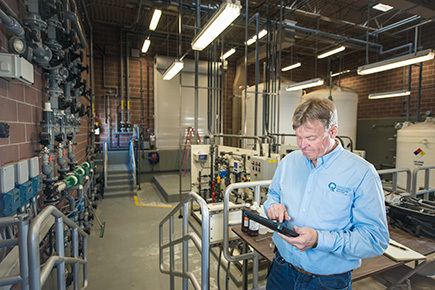 Because of this, the Utah Division of Drinking Water’s fees for the Operator Certification and Cross Connection Control Certification programs are changing. Changes will go into effect on January 1, 2019, in order to comply with legislative requirements (detailed below). *The online exam fee of $150 includes the $30 online testing fee in the price. (2) (a) The board may adopt and enforce standards and establish fees for certification of operators of any public water system. (ii) for a system that is required to treat its drinking water. (c) The certification program shall be funded from certification and renewal fees. prevention assembly training, repair, and maintenance testing. (b) The certification program shall be funded from certification and renewal fees.